Hen of the Woods mushroom is the nickname for the maitake mushroom. Maitake mushrooms have been used medicinally in Japan and have gained attention in the last 20 years in the United States. At home, logs can be inoculated with the spawn to produce mushrooms. It can take a year or more to see results from growing maitake mushrooms, but then they can continue to produce for up to four years. Obtain your log from a local farmer or business that provides firewood, or cut a log from a tree on property that you own or with the owner's permission. Choose a log from a hardwood tree such as maple, oak or aspen for the best results. Make sure your log measures 3 to 4 feet in length and 3 to 6 inches in diameter. Also, make sure the log wasn't cut more than two months ago; otherwise, there is a chance the log is contaminated with wild mushroom spawn or mold. Obtain a log that has been cut in either late winter or early spring so that the sugar content in the wood is high. 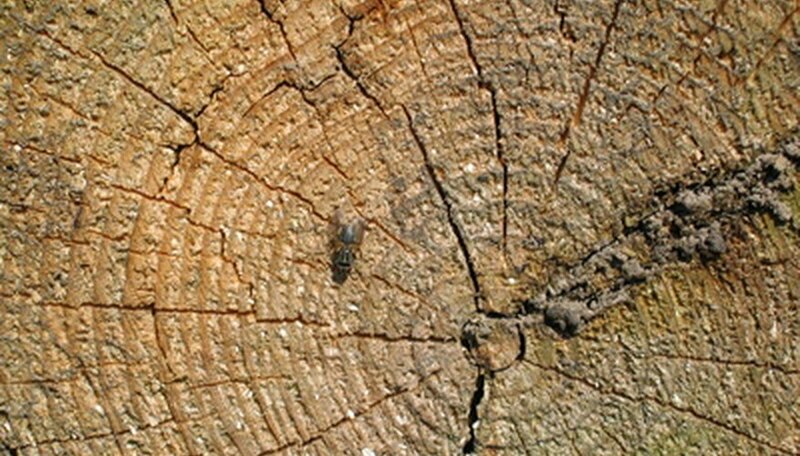 Set aside your log for 1 month to allow chemicals in the wood that can kill fungi to dissipate. Soak the log in water overnight the day before beginning inoculation. Use a drill with a 5/16 inch drill bit to drill a 1 ¼-inch deep hole. Make a row of holes along the length of the top part of your log so that each hole is spaced 6 inches from the next, and each row is offset 2 inches apart. Add holes to the ends of the log as well. Hammer one spawn plug into each hole you made on the log until the plug is completely inside. Melt cheese wax in a double boiler. Use a cooking thermometer to make sure the temperature doesn't get above 300 F degrees. Dip the paintbrush into the melted wax. Paint the wax over each hole to seal in the spawn plugs. Keep the log moist with water. Put it in a location indoors or outdoors where the temperature will remain between 55 to 70 F degrees. Maitake mushrooms typically take about 1 year to develop, and sometimes can take as long as 3 years. Harvest sections of maitake once their edges darken by cutting them just above where the base of the mushrooms meet the log.